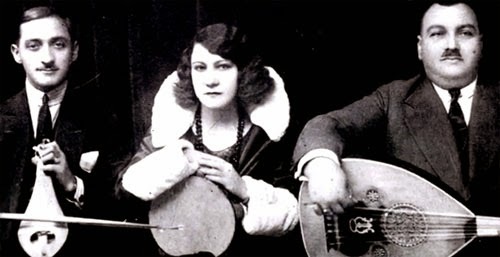 Roza Eskenazi was the queen of rembetika, the Greek blues, a genre that sprang up in the Aegean’s port towns in the 1920s. She was an amazing talent, yet until now, her music and the extraordinary details of her life have remained relatively unknown. 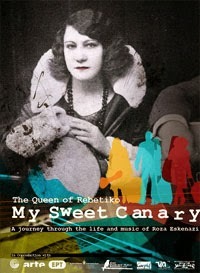 However, a new album that pays tribute to her music, and the documentary film My Sweet Canary'/ The story of Roza Eskenazi, directed by Roy Sher, will celebrate the “Canary of the Aegean.” The documentary is a colorful cinematic and musical journey, full of life, that follows three young musicians from Israel, Turkey and Greece, on a journey motivated by the influence of Roza Eskenazi's life, as an artist and as a woman. Eskenazi recorded about 500 songs, becoming one of several Greek artists – and the first woman – to be flown to the US to record for Columbia. She sang in Greek, Turkish, Armenian, Arabic, Yiddish, Ladino and Italian, writing her own compositions, too, including My Sweet Canary. Misirlou, one of her songs from this time, would appear on the soundtrack to Quentin Tarantino’s Pulp Fiction. The story of her life and career encompassed two world wars, an elopement, a long-lost son, the population exchange between Greece and Turkey, German occupation, wartime resistance, imprisonment, and of course extraordinary music. The UK premiere of My Sweet Canary is at Cineworld, London, on Thursday (11.06). Homage to Roza will be launched at the London jazz festival on November 23.